NEW CONSTRUCTION HOME FOR SUMMER MOVE-IN! Amazing 1865 sq ft single-family ranch home in Woodstock! 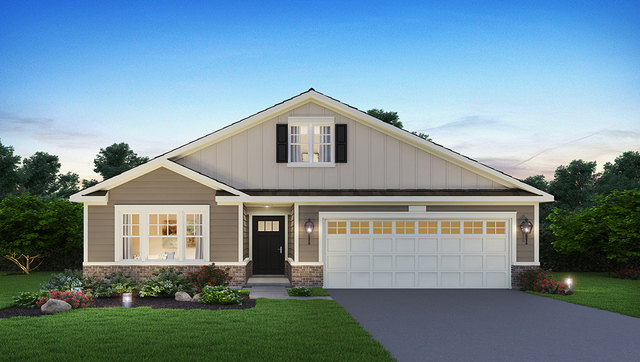 Captivating Clifton floor plan boasts 2 bedrooms, 2 full bathrooms, 2-car garage, and basement! Luxurious open concept kitchen features a large island with additional storage space, abundant quartz counters, walk-in pantry, tall designer cabinets with crown molding, pendant lighting, and stainless steel appliances! Large master suite includes ceiling fan rough-in and spacious walk-in closets. Master bathroom with shower, dual bowl vanity, and ceramic tile. Architectural shingles and Hardie siding beautify the exterior. Professionally landscaped, fully sodded home site with outstanding nature views in NEW ranch home community located in Sanctuary at Bull Valley. Ask about this smart home's convenient features! Must see! Similar home pictured. This Woodstock, Illinois Detached Single is located at 2290 Preswick Lane in Sanctuary Of Bull Valley and has 2 bedrooms, 2 full & 0 half bathrooms with approx 1,865 square feet and a Partial Unfinished Basement. It has been listed For Sale on Blue Fence for 72 days and is currently Cancelled on the Multiple Listing Service (MLS#: 10270678) with a list price of $ 329,220 or a price per sqft of $ 177. 2290 Preswick Lane is located within the Woodstock City Limits, 60098 zip code and in Mc Henry County Illinois. The Detached Single property was built in 2019 with a lot size of Less Than .25 Acre and has Garage with 2 Spaces. School age children living at 2290 Preswick Lane would go to Elementary School at Olson Elementary School (District 200), Middle School at Creekside Middle School (District 200) and High School at Woodstock High School (District 200). Do you have questions about 2290 Preswick Lane in Woodstock? Learn more about this property and other Woodstock real estate for sale by contacting the best high selling real estate agents REALTORS® with awarding winning Blue Fence Real Estate. Simply request more information from a top rated Blue Fence REALTOR® or browse all of the most updated listings of Woodstock Homes For Sale. I was searching on Blue Fence and found this listing. 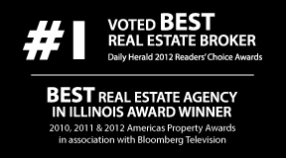 Please send me more information about 2290 Preswick Lane, Woodstock, Illinois 60098. Thank you.